A 12 year old child with rheumatic heart disease, Kyra did not have anyone with her as her parents are separated and her grandmother only gets to visit her when she has free time from her other responsibilities. 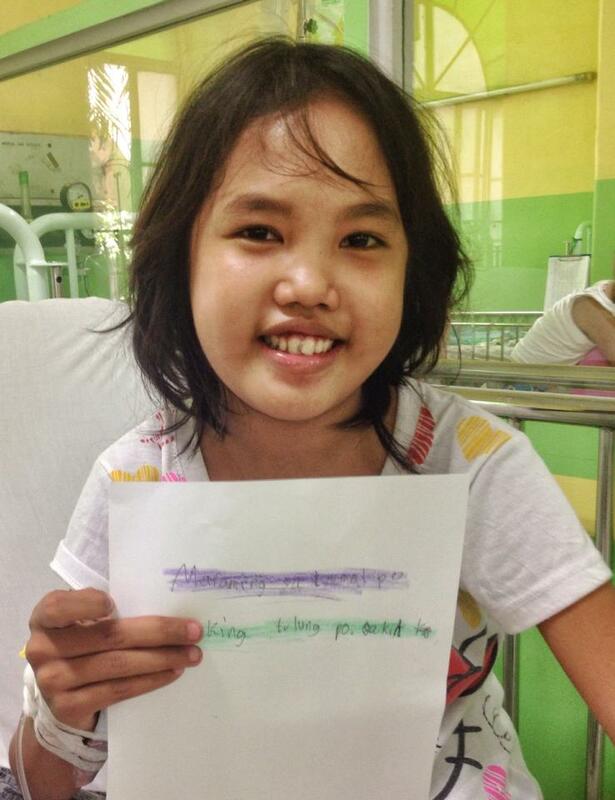 The Hospital Ministry gave her antibiotics during one of our regular weekly visits and while we were doing our rounds, she asked the nurses/doctors for pen and paper so that she could write a thank you note for us. If you would like to know how to help her or other patients like her, please feel free to contact our social worker, Nimfa Dumago, at 8438830 to 31 loc 142.